I am currently really into *trying* to eat healthier and treating my body like a temple. With Easter having been and gone I pretty much now own a lifetimes supply of chocolate. This definitely won't help with my healthy eating and it certainly makes me feel guilty to snack at the moment. 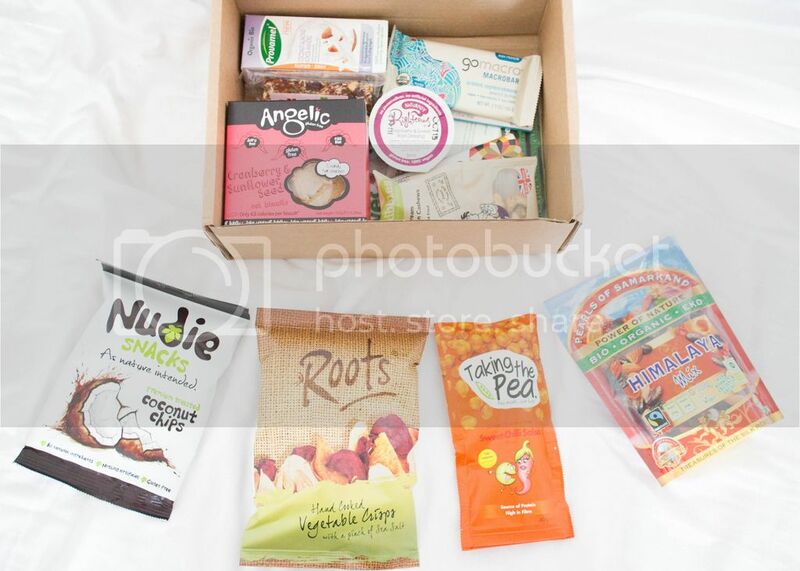 When I heard about Vegan Tuck Box though, I thought it would be great to give it a go! Now, I most definitely am NOT vegan. I don't think I could survive off of a vegan diet as I love chicken and sausages far too much, but the idea of having vegan snacks and incorporating vegan meals every now and again does interest me. They will definitely be far healthier than chocolate and crisps, and I am always up for broadening my dietary horizons. I opted for their single classic box, to give me a taste (pardon the pun) of Vegan Tuck Box's selection and the kind of items they include the box. My box was larger than anticipated and definitely jam packed! I was very pleasantly surprised and definitely very happy. This is the first time I have ever opted for a box of food. I am normally a beauty box subscription kind of gal, but the £20 I spent definitely seems worth it for this selection. They do offer a cheaper and smaller box that offers half of the selection of the classic box, but the classic box included 12 treats. Keep that in mind when opting for a box. There seems to be a good mix of sweet and savoury snacks, as well as a drink and a salad dressing included (which I wasn't expecting). 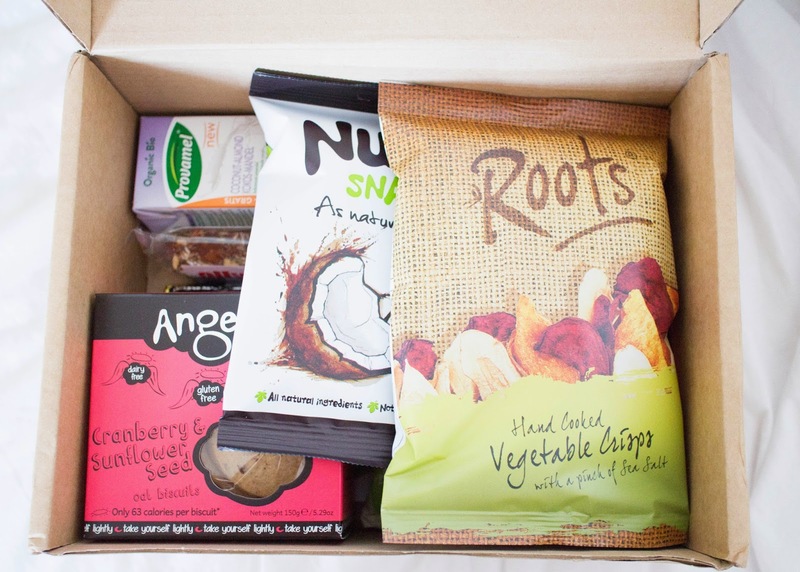 I am most excited about the Roots vegetable crisps (crisps are my weakness), the Taking the Pea coated peas, Quibbles sour cream & onion cashews and ALL of the vegan chocolate (especially the peanut butter macrobar. I ADORE peanut butter). There are loads of items included also that I didn't even know existed or was possible. Safe to say, the Provamel coconut & almond milk wasn't my cup of tea. It was pleasant and did have a soft nutty taste with a milk texture, but it didnt quench my thirst and the taste did make my face screw up at first. The chocolate is amazing and has no real difference to chocolate made with milk and processed sugar. I think I'll be swapping my sweet tooth for a vegan sweet tooth definitely. The Nudie Snacks coconut chips are very pleasant. They are like a crisp packet filled with small wafer like coconut chips and they are very pleasant on the palette and taste like a bounty bar, just without the chocolate. Very lush! I think these might become a regular snack for me. 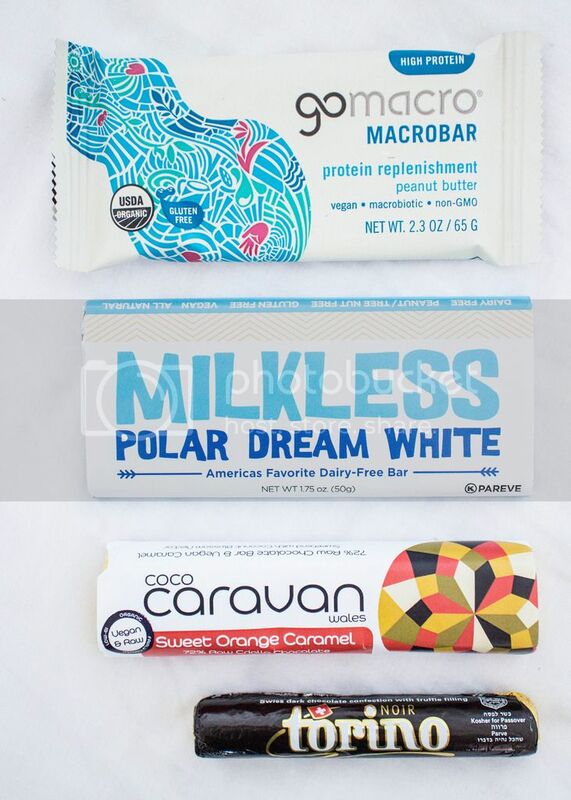 Have you ever heard of Vegan Tuck Box? Would you give Vegan snacks a go? 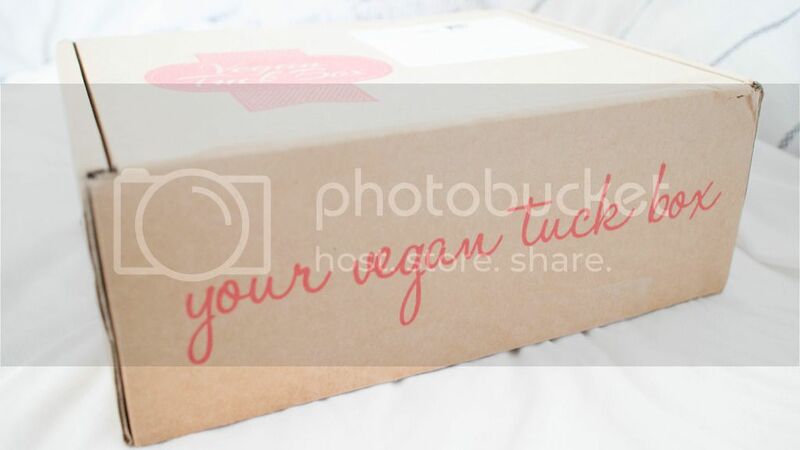 *NEW UPDATE 14/4/2015* If you want to give Vegan Tuck Box a go, use my code "blog20" to get 20% off of your first box! How amazing! 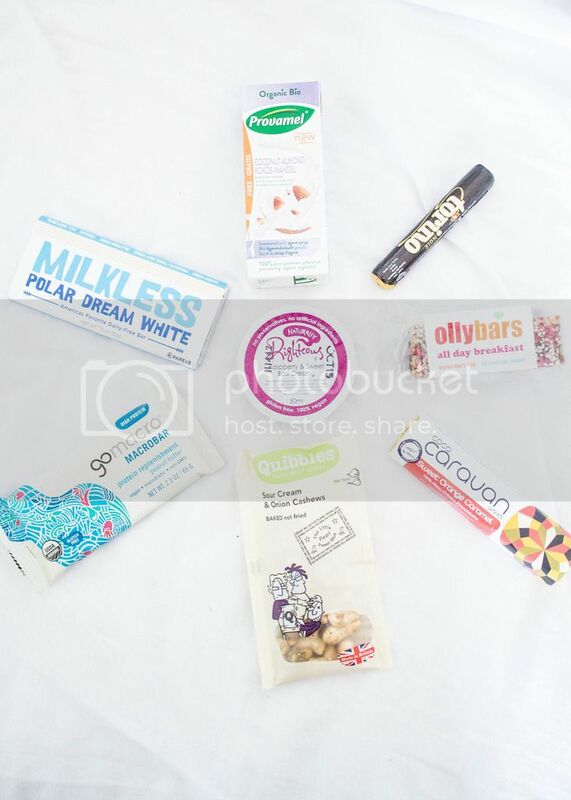 Love Vegan Tuck Box and their team so much already! This looks so healthy! I love vegetable crisps!